“Absolutely not. In fact, if they weren’t hearing about it, they should be a whole lot more concerned,” said English. She said Georgia has one of the country’s most thorough public health plans. That includes detailed planning for all hazards such as floods and the flu. “If you were in the middle of a flood or gas leak, that’s not the time to figure out how to turn it off. You want to know all of that in advance. This is no different,” said English. The man became infected in Liberia and then travelled to Texas, where he remains in strict isolation in hospital. The first case of ebola has been diagnosed in the United States, the Centers for Disease Control and Prevention (CDC) has confirmed. The patient is a man who became infected in Liberia and flew to Texas, where he is now being treated in hospital, a CDC spokesman said. He is not a healthcare worker, the spokesman added. The Texas Health Presbyterian Hospital Dallas said earlier it had placed a person in strict isolation based on their “symptoms and recent travel history”. On December 9, 1981, at approximately 3:55 a.m., Officer Danny Faulkner, a five year veteran of the Philadelphia Police Department, made a traffic stop at Locust Street near Twelfth Street. The car stopped by Officer Faulkner was being driven by William Cook. After making the stop, Danny called for assistance on his police radio and requested a police wagon to transport a prisoner. Unbeknownst to him, William Cook’s brother, Wesley (aka Mumia Abu-Jamal) was across the street. As Danny attempted to handcuff William Cook, Mumia Abu-Jamal ran from across the street and shot the officer in the back. Danny turned and was able to fire one shot that struck Abu-Jamal in the chest; the wounded officer then fell to the pavement. 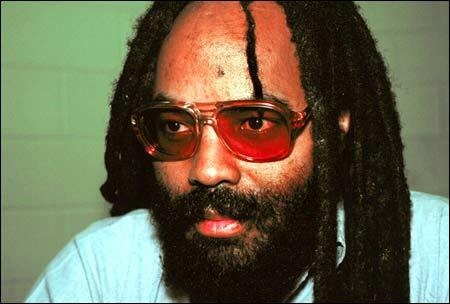 Mumia Abu-Jamal stood over the downed officer and shot him four more times at close range, once directly in the face. Mumia Abu-Jamal was found still at the scene of the shooting by officers who arrived there within seconds. The murderer was slumped against the curb in front of his brother’s car. In his possession was a .38 caliber revolver that records showed Mumia had purchased months earlier. The chamber of the gun had five spent cartridges. A cab driver, as well as other pedestrians, had witnessed the brutal slaying and identified Mumia Abu-Jamal as the killer both at the scene and during his trial. On July 2, 1982, after being tried before a jury of ten whites and two blacks, Mumia Abu-Jamal was convicted of murdering Officer Danny Faulkner. The next day, the jury sentenced him to death after deliberating for two hours. The Supreme Court of Pennsylvania heard the defendant’s appeals and upheld the conviction on March 6, 1989. On Sunday October 5th, Mumia Abu Jamal will deliver the commencement speech at Goddard College in Vermont. His speech was prerecorded by Prison Radio. Goddard College announced today that Mumia Abu-Jamal, an American prisoner, author, and journalist who received his Bachelor of Arts from Goddard in 1996, was selected by the students of the Undergraduate Program’s Fall 2014 graduating class to be their commencement speaker this Sunday, October 5. 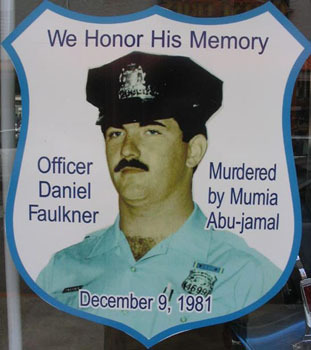 Abu-Jamal was convicted in the 1981 murder of Philadelphia police officer Daniel Faulkner. His original death sentence handed down at his trial in 1982 was commuted to life imprisonment without parole in 2011. He was then transferred from death row to the Mahanoy State Correctional Institution in Frackville, Pa., where he resides today. 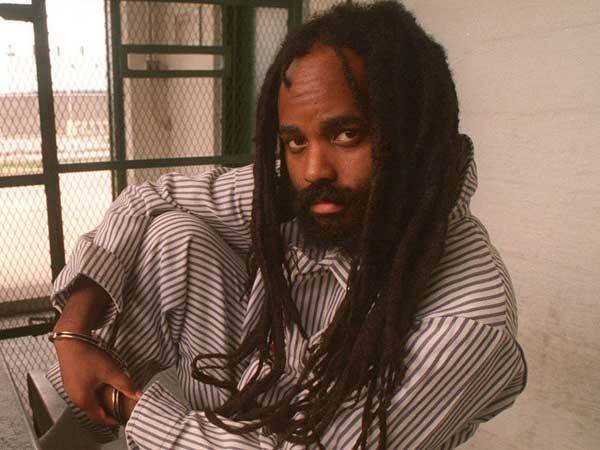 Abu-Jamal’s commencement remarks were prerecorded by Director of Prison Radio Noelle Hanrahan and will be played alongside a short video created by director and filmmaker Stephen Vittoria, whose documentary “Long Distance Revolutionary: A Journey with Mumia Abu-Jamal” was released in 2012. Goddard College holds twenty commencement ceremonies each year, allowing for students in each degree program to personalize their graduation experience. “As a reflection of Goddard’s individualized and transformational educational model, our commencements are intimate affairs where each student serves as her or his own valedictorian, and each class chooses its own speaker,” said Goddard College Interim President Bob Kenny. “Choosing Mumia as their commencement speaker, to me, shows how this newest group of Goddard graduates expresses their freedom to engage and think radically and critically in a world that often sets up barriers to do just that,” he said. And, the moral decline of America continues. War On Terror: The Islamic State’s call for “lone wolf” attacks on Western infidels might have met its match in the Second Amendment, as an armed man saves lives by shooting a jihadist wannabe bent on heeding that call. This story is circulating around today, but not at the major news outlets; it may not be accurate at all and should be treated with reserve. 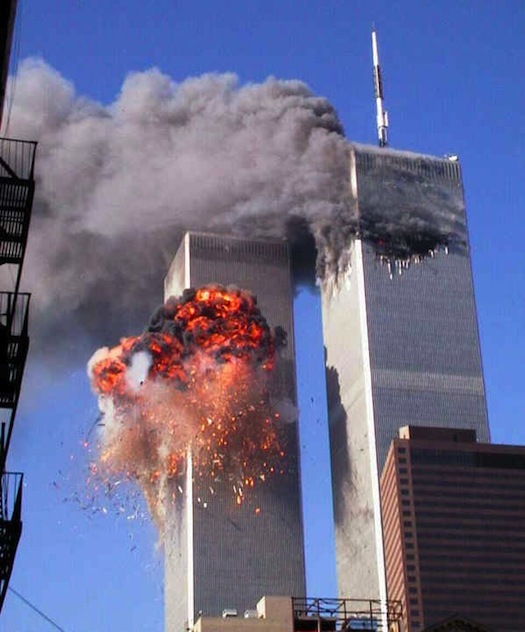 It does exemplify, however, how Islamic proselytizing in prison focuses on people who are angry and feel as if they have been treated unjustly, and channels their anger in a new direction. Whether or not O. J. has converted, prison dawah (Islamic proselytizing) is a disaster waiting to happen, for conversion to Islam doesn’t dissipate the anger of these angry men, but blesses it as righteous. Prison converts to Islam have already been involved in jihad plots, and we are going to see more of this. Lovelock (Nevada): Former American footballer, broadcaster, and movie star O.J Simpson, who is currently locked up in a Nevada prison since 2008 has turned to religion and is embracing Islam with plans to become a Muslim. 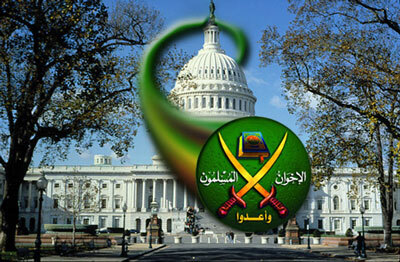 What does it take before we’re allowed to call domestic Islamic terrorism what it is? When a woman is beheaded by a Muslim in Oklahoma the Obama administration calls it “workplace violence.” It seems that the alleged killer, a convert to Islam, was merely carrying out the dictates of the Quran.